Located in The Sun Tower on the corner of Beatty and Pender in Crosstown. Crosstown is an up-and-coming area of the city populated with businesses and residential buildings, while offering a glimpse into Vancouver’s rich history. 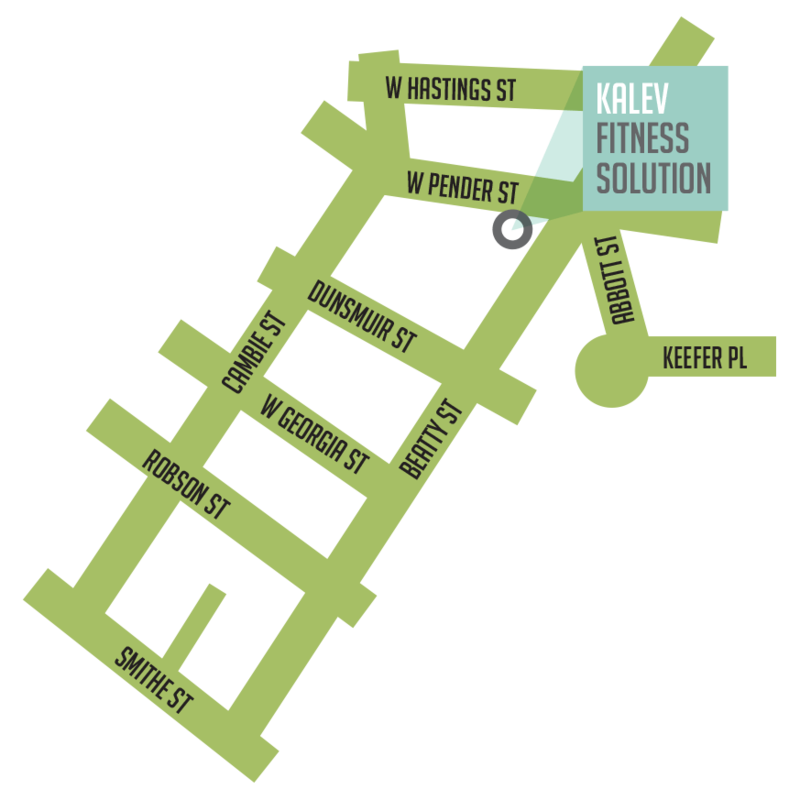 Kalev Fitness Solution is located on two levels of The Sun Tower in Vancouver, BC, on the corner of Beatty and Pender in Crosstown. Crosstown is an up-and-coming area of the city populated with businesses and residential buildings, while offering a glimpse into Vancouver’s rich history. Holidays – 9am to 5pm (Classes cancelled). Personal Training is by appointment and may take place outside regular gym hours.